Guildford was recently voted the most competitive town of its kind in the UK. And with that accolade, it is naturally a great place to do business. 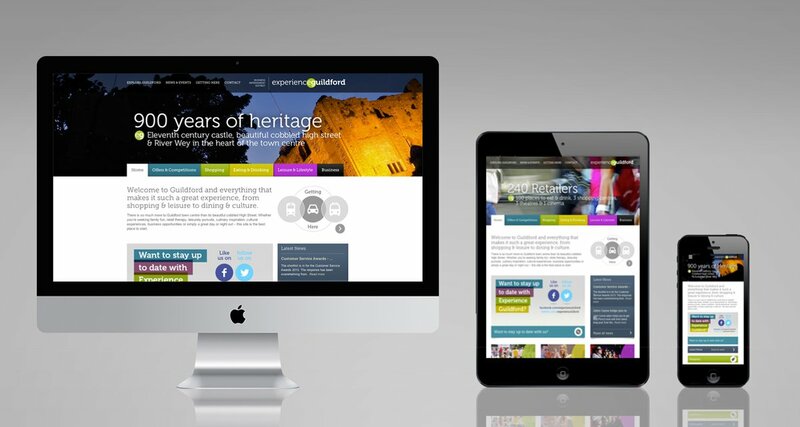 Experience Guildford is the name of this local Business Improvement District (BID) in Guildford and works to serve over 600 local business levy payers and deliver on the projects set out within the business plan. Equally it supports and encourages shoppers and consumers to spend money in Guilford and drives awareness and footfall accordingly. As a leading branding agency based in Guildford, Surrey, Chaos (a UK Top 50 design agency) were the natural choice and partner to help launch and activate the brand. Chaos helps consumers experience Guildford and all that the town has to offer. 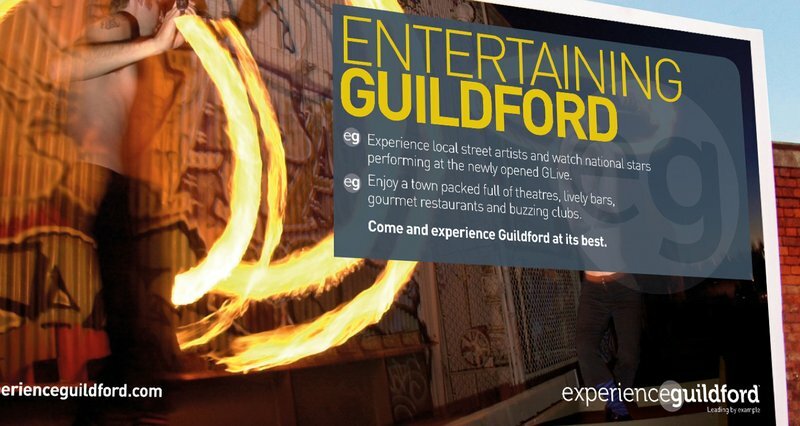 Having obtained BID status we then named the organisation ‘Experience Guildford’ and created the interconnecting eg mark to use as a highlight device to convey the key benefits of experiencing what the town had to offer. This destination marketing has taken the form of advertising, a new website and experiential activities in the high street. 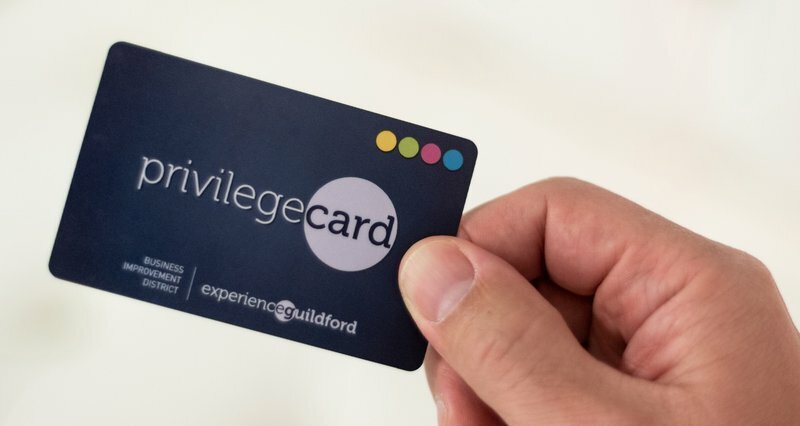 The BID has successfully also launched a privilege card and app as the perfect on-the-go accessory for a fabulous day or evening out in Surrey’s premier county town. For the ballot to be successful, two conditions had to be met – the first was that more than 50% of the businesses that voted had to be in favour and those that voted ‘yes’, had to have a greater total Rateable Value than the businesses which voted no. Following our ‘YES YES YES’ campaign the result was 83% voting yes by number and 91% voting yes by Rateable Value. This is the top result for any marketing campaign across all BIDs in the UK.